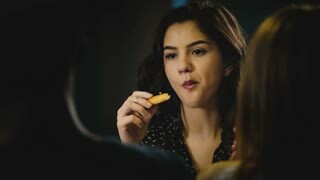 Mixed ethnicity friends dance together at a party. Cross cultural casual young group celebrates at home. Togetherness. 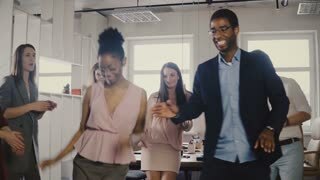 Two African American colleagues dancing together at casual office party. 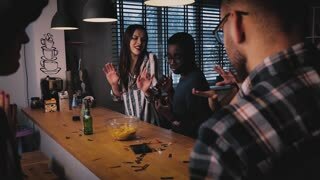 Diverse friends share fun time at work 4K. 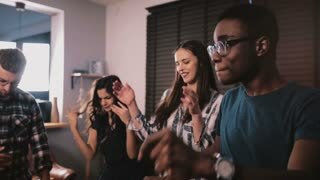 Handsome African American male student dancing together with multiethnic friends at casual fun house party slow motion.